Emergency Tooth Extraction, Is It Needed? Emergency Dentists USA has just what you need to find a great Hialeah emergency dentist regardless of the time of the day or night. Our convenient listing of after-hours dental clinics and emergency dental service providers makes it simple to choose a caring and proficient emergency dentist, even when you are new to the town. Our 24-hour emergency dental hotline connects you directly with a friendly operator who helps you to choose a new Hialeah dentist and even assists you in making the appointment if necessary. This web page has all the information you’ll need for any dental emergency you may face. Definitely a great find! Our listings include a variety of dental clinic locations and hours to suit your needs. Biltmore Dental Associates offers same-day appointments to anyone in dental pain, they allow you to just walk in to their clinic without an appointment. Hialeah Dental Center is open after hours on Mondays and they also offer Saturday hours for your convenience. Although there are no clinics open 24 hours a day, Hialeah offers several excellent hospital emergency rooms that are open 24 hours a day and seven days a week to treat your dental emergency. Emergency Dentists USA has exactly the Hialeah emergency dental clinic that you need to have your dental emergency handled quickly. Simply scroll through our Hialeah emergency dental clinics listed below to select the dental office that suits your needs. Our 24-hour dental hotline is also available to provide you with a live operator who helps you to select a great Hialeah emergency dentist and can even help you to make a dental appointment right now. Description: If you are suddenly hit with severe pain or a cracked tooth, make the right choice to call the best emergency dental hotline now, and get back on the path to feeling well again! Description: Here at the Hialeah Dental Center, making sure that you leave with a healthy mouth and permanent smile are the highest priorities of the staff. They are trained in making sure that the patient is always comfortable and well-taken care of. Whether it’s a routine procedure such as a check-up or something serious like a root canal, they’ve got you covered. Description: The staff at Dental American Group is on hand to help you with Saturday appointments from 9 AM until 1 PM, and has a full range of experience. You may need help with x-ray diagnostics, have an issue such as wisdom teeth coming in improperly, or need help with constant pain. . Description: Here at Sierra Dental, you can schedule an appointment on Saturdays from 9 AM until 2 PM, making them a great choice for a Saturday dentist. You may be facing the need for an extraction or root canal therapy, or just something like a standard check-up: whatever your needs are, you can contact the staff at this clinic and be seen immediately. Description: Biltmore Dental Associates are open after hours until 6 PM during the week and are always willing to admit someone who is experiencing severe pain. Don’t wait too long to see the dentist if you think you have an abcess or any other emergency, and visit the staff at Biltmore today. – Try to arrive at least 15 minutes before your dental appointment in order to have plenty of time to fill out the necessary paperwork. This extra time also allows you to ask questions about your upcoming procedure. – Get your paperwork ready to go before you visit your Hialeah emergency dental clinic. If you have recent dental x-rays or examinations, bring those with you to your new dental clinic. – Make sure your new emergency dentist accepts your preferred payment method and takes your specific dental insurance plan. – Let your new emergency dentist know if you are allergic to any medications. Bring a current list of your medications with you to visit your dentist. – Do you have intense dental anxiety or fear? Speak with the dental clinic staff about your fears. They are trained to help you to understand your procedure and feel more comfortable during your appointment. “Knowledge is power. The first thing the dentist will do is talk with you about your concern. After the concern has been identified, the dentist will take necessary x-rays and examine the area of concern, observing for signs that may be contributing to your concern. The dentist will then develop a plan to address your concerns. If one of your main concerns is fear, it is possible to orally sedate patients so that they are not as aware of the treatment. 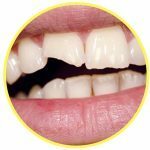 Dental emergencies that are common include a loose or lost crown, a lost filling or even a tooth that is chipped or broken. You might also encounter a dental emergency that begins with a soft tissue injury to the mouth, the tongue or the lips. Broken brackets or broken wires on your braces are also common dental emergencies that send people to an emergency dentist. If you are facing any of these common dental emergencies, get in to see a Hialeah emergency dentist now. 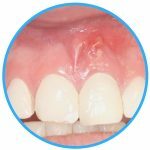 An abscess is an infection that occurs between the teeth or in the gum below the teeth. This type of infection can become extremely dangerous as it spreads easily to other areas of the mouth, including the bone of the jaw. Rinse your mouth several times with salt water to draw the pus from the infection to the surface of the gum. Use a cold compress outside of the mouth to reduce swelling and pain. A chipped or broken tooth is definitely a dental emergency that requires quick attention. If you are able to find the broken portion of the tooth, place it in a small container of milk to bring with you to visit your dentist. Rinse your mouth with water and place a moistened piece of gauze against any area of the mouth that is bleeding. A cold compress against the outside of the mouth will reduce pain and swelling. Knocked out teeth are a dental emergency that can become quite embarrassing. If you are able to find the tooth, grasp it by the crown and avoid touching the root. Rinse the tooth with plain water and place it back into the gum if possible. If you are unable to place the tooth back into the gum, bring it with you to your dentist in a small container of milk or Save-a-Tooth. Use a cold compress to control swelling and pain outside of the mouth and a moistened piece of gauze to stop any bleeding of the gum. You might need an emergency tooth extraction if your tooth has decayed beyond the point where your dentist is able to fix the tooth or if you have a tooth that is crowding other teeth in your mouth. Your dentist uses an x-ray and an examination to determine the best way to remove the tooth. Once the x-ray and examination are complete, he or she chooses a local or general anesthetic so that you remain comfortable during the extraction. A special dental tool is used to remove the tooth from the gum, or to break the tooth into smaller pieces and then pull it out of the gum. The gum is sewn closed with a type of suture that dissolves over time, and a small piece of gauze is used to control any bleeding. Full healing usually occurs within one to two weeks of the emergency tooth extraction. During this time period, it is important to avoid eating drinking from a straw or eating foods that are hard to chew. Make sure to follow all of the emergency dentists orders and take any medications prescribed. A visit to the hospital emergency room is definitely important if you have a dental problem that stems from an accident like a car accident, a fall or a sports injury. In this case, the hospital ER physician can ensure that you do not have any injuries other than your dental emergency. Visit your Hialeah emergency dentist if you have a dental emergency that does not involve any other part of the body or that is not due to trauma like a car accident or fall. 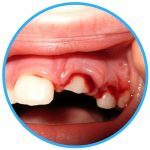 The hospital emergency room is not designed to handle tooth repairs, and visiting the ER first means that you will have to follow up with a dentist for the actual tooth repair. Paying both the emergency room bill and the dental bill along with having to deal two separate visits makes heading to the emergency room for a dental emergency more costly and more time consuming that visiting your Hialeah emergency dentist first. When you choose a new dentist, it is important to check with the American Dental Association to ensure that your dentist is certified and licensed in your area. You can use the American Dental Association website to research any licensed dentist. 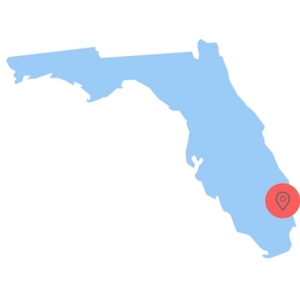 You can also check on the Florida Dental Association’s website to check out your dentist’s licensing and learn important information about dental care.